All in One PC Lenovo C320 is the latest addition to the Lenovo AIO line up. Lenovo C320 Power is provided by Intel Second Generation Core i3 processor. In this article we will share you latest All in once PC Lenovo C320 internal and external technical feature , specification and what is actual price in India ( including Bangalore, Delhi, Mumbai, Pune, Hyderabad, Chennai and other cities in India). 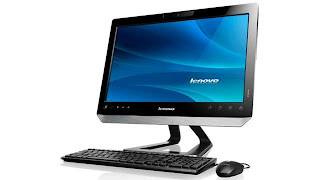 Reportedly, Lenovo C320 comes with a 20 inch LED Backlit display with optional multi-touch touchscreen support. Specification wise Lenovo C320 features a 4 GB RAM, 1 TB hard drive, Window 7 Home premium OS, USB 3.0, Wi-Fi connectivity, DVD player, optional burner, optional TV tuner, optional HDMI port and equipped with stereo speakers with SRS Premium Sound technology.